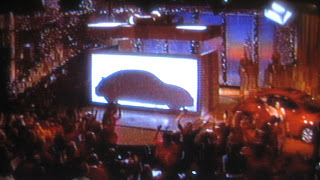 As part of Oprah's Ultimate Favourite Things giveaway, the multi-millionaire is giving every member of her audience a forthcoming 2012 Volkswagen Beetle, including taxes. The last time Oprah gave away car – she gave her audience Pontiac G6's – some had complexity accepting the gift because of the taxes they owed. This promotion is sees Oprah giving her audience members lavish and pricey surprise gifts of all kinds of things. Jonathan Browning, President and CEO of Volkswagen of America, said that Winfrey approached the car firm about the giveaway, stating that as an owner of the current New Beetle, it has been one of her Favourite Things. 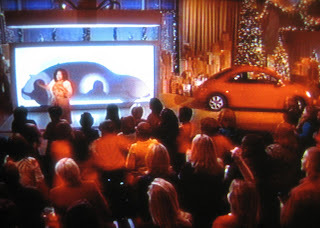 Oprah made the statement in front of an outline of the forthcoming model, after she drove her New Beetle on stage. While Browning confessed that Oprah had been given a preview at the finished product, her 275 audience members will be in the shadow about their new car look until Volkswagen premier the Beetle at a later. Audience members will take delivery of their cars next Autumn when Volkswagen begins production at its Mexico plant in Puebla. Volkswagen executives has remained tight-lipped about the future Beetle, however, CEO Browning did reveal that it will feature Bluetooth, touch screen navigation, branded audio systems, ambient lighting, 19” alloy wheels, sports seats and sports suspension. Volkswagen is keen to 'degender' the new Beetle (seen as a woman’s car and driven by mainly women). 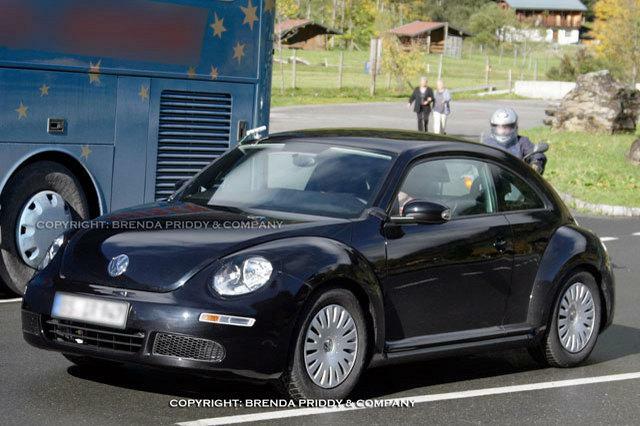 The German car manufacture needed to use Oprah Winfrey in promotions, in order for the next Beetle to be a success. Mechanically, the 2012 Beetle will be offered with a 2.0 TDI diesel engine with clean diesel technology and a 2.0T petrol engine, in the U.S anyway. The international market will have a wider range of petrol and diesel units. We expect European models to be equipped with a 1.2 TSI 105bhp, 1.4 TSI and a 2.0 TSI petrol engines. A 1.6 TDI and 2.0 TDI will also be offered. First the first time ever, the diesel powerplants will find their way under the bonnet of the Beetle Cabriolet. In the pipeline, may be a hybrid variant and a high-performance GTI model. 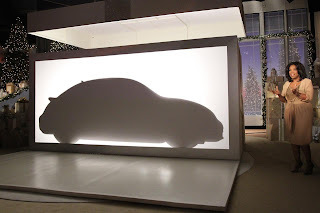 On "The Oprah Winfrey Show," Volkswagen revealed the design silhouette of its all-new 2012 Volkswagen Beetle, and then shocked her audience – by giving each of them a 2012 Volkswagen Beetle. 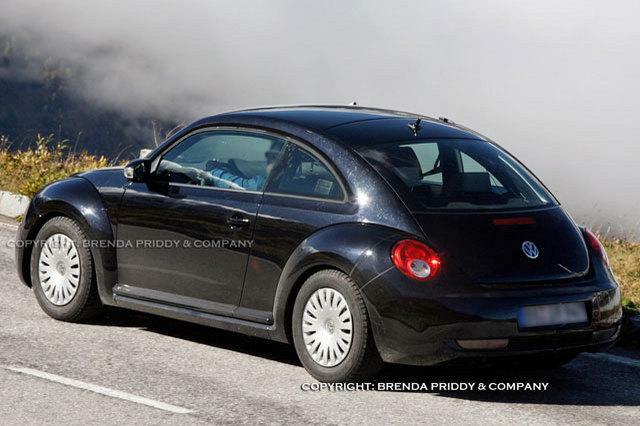 The all-new 2012 Volkswagen Beetle is an automotive icon, reinvented. The all-new, completely redesigned vehicle has been dramatically revolutionized by the same engineers and designers that brought the GTI and CC to life. After 12 years, the heart and soul of Volkswagen has evolved, exemplifying Volkswagen's engineering excellence, power, styling and sophistication. 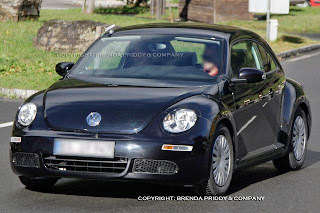 Oprah owns and drives a New Beetle and asked Volkswagen to help her recognize the time, talents and contributions of select viewers by giving them one of her favorite things, a Volkswagen Beetle. As one of the most iconic vehicles in America, everybody, including Oprah has a Volkswagen Beetle story and this reveal kicks off the next chapter of a great saga. Volkswagen is donating two hundred seventy-five 2012 Beetles plus applicable taxes and fees, to each member of today's studio audience. 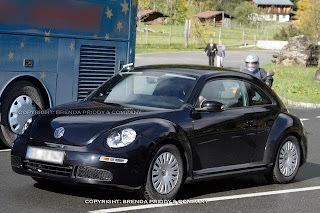 "Oprah Winfrey and the Volkswagen Beetle are two American icons, so when the "Oprah" show approached us with this incredible opportunity to share her Beetle experience with deserving viewers, we instantly wanted to be a part of it," said Jonathan Browning, President and CEO, Volkswagen Group of America. 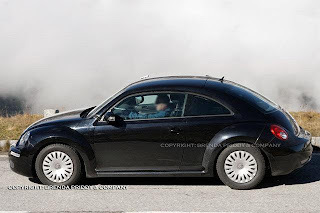 "Our all-new 2012 Beetle exemplifies power, styling and sophistication, and is an automotive icon reinvented to create the new shape of performance." As revealed today, the new Beetle will feature a sportier, more aggressive stance, and features sleeker styling and a wealth of new technologies that provide a heightened driving experience. It is also customizable, with options that will offer the performance, styling, accessories and features that will appeal to everyone from the driving enthusiast to the driver motivated by value, excellent fuel economy and nostalgia. The 2012 Beetle will be revealed in the spring of next year and will be available in showrooms next fall. U.S. pricing is not yet set, but with trim packages and unprecedented personalization and customization options, the Beetle will offer the performance, styling, accessories and features that will ensure there will be a Beetle everyone. 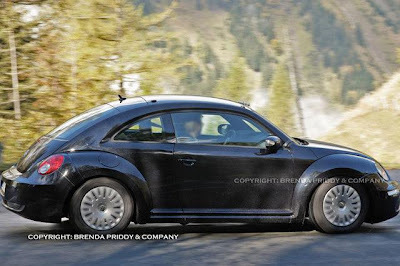 The new design lines draw upon the vehicle's legacy, but the 2012 Beetle will be a true, performance driving machine perfected by German engineering, offering a wealth of technologies that will provide a heightened driving experience over the previous generation. 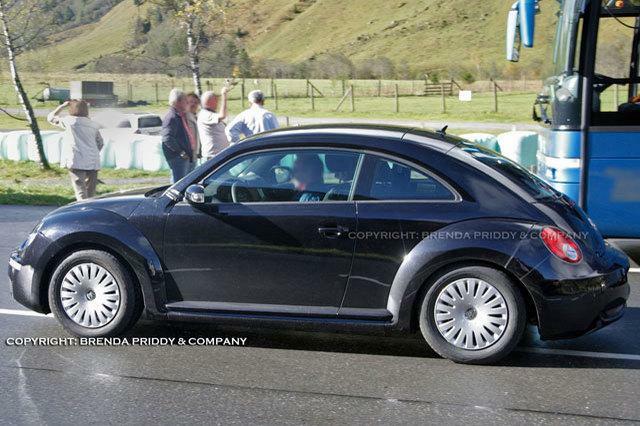 The 2012 vehicle is sporty, aggressive and comes with Volkswagen's carefree maintenance and known safety standards. The vehicle will offer dual exhaust, 19-inch wheels, sport seats and new, sleeker styling. New technologies, like Bluetooth, touch screen radio, branded audio speaker systems, navigation and unique ambient lighting provide a heightened driving experience.